One of the most respected and trusted property management companies in Bansko. What we offer! View details of services we provide and their associated costs. 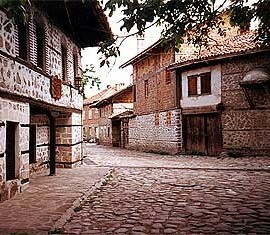 View information about Bansko's history, culture, webcams and tourism. Bamro – A respected and trusted property management company in Bansko. We are present in Bansko all year and ready to respond to any apartment issues as well as assisting you or your guests requests at a moments notice. We are British run with a local team of staff. We operate a 24/7 services so if you need to contact us for any reason we will be there to respond to emergencies. Please contact us for more information or come and visit our offices when next in Bansko. We are just next to the gondola, so very central. Happy to chat or give advice from our 10 years of experience while living here in Bansko. If you have just bought your apartment or have been an owner here in Bansko for many years we will be pleased to hear from you to see if we can assist you with your property here in Bansko. We want all visitors to Bansko to enjoy the area and the amenities that the Bansko region has to offer. Let us help in making your Bansko experience a great one.